In: Polytechnic Ibadan ND Full-Time Admission List for 2017/2018 !!! Polytechnic Ibadan ND Full-Time Admission List for 2017/2018 !!! This is to inform all the candidates that participated in the Polytechnic Ibadan (POLYIBADAN) 2017/2018 academic session admission screening exercise, that the authorities of the institution, have released the admission list containing the names of candidates admitted into the polytechnic various National Diploma (ND) Full-time programmes. The Polytechnic Ibadan admission list has been successfully uploaded on the polytechnic admission status checking portal. 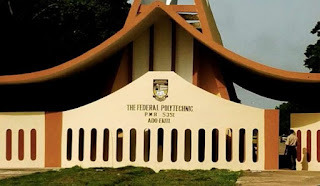 CHECK POLYTECHNIC IBADAN ADMISSION LIST. 2. Enter your Username and Password where required. 3. Finally, click on Login to access your Poly Ibadan admission status. Congratulation to all the candidates that made it to the Polytechnic Ibadan (POLYIBADAN) admission list.